One of the biggest strengths of the Adobe CC 2019 release is receiving a complete set of creative tools with an ongoing stream of updates included at no extra cost… We no longer have to wait years for our products to innovate and keep pace with evolving technologies; instead we receive the latest and greatest features and improvements as soon as they are ready. Since the initial launch of CC in 2013, Adobe has regularly issued new upgrades for each individual app about once every 3-4 months, bringing new power and capabilities to all subscribers. 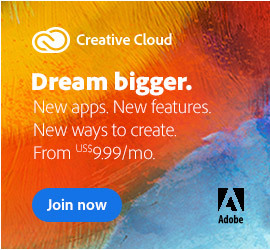 Normally the Creative Cloud works seamlessly with these ongoing product updates… The CC Desktop App runs quietly in the System Tray and notifies the customer that a new upgrade is avail­able for any of the included applications like Photoshop CC, and (optionally whenever desired) the user clicks one button to auto­matically download and install the update in the back­ground. Sometimes, however, subscribers need more control for various reasons… You might want the ability to download and apply updates manually, save/backup or work with the installers offline, use the exact same version as your coworkers, or be able to go back to a previous version by rolling back a specific update – in other words, easily downgrade back to any prior/older CC release. Uninstall the Adobe tool using your operating system’s uninstall function… Next, download and run the Adobe Cleaner Tool to ensure it is removed completely. Reboot your computer. Download and install the base release of app you want to restore using the special direct links… Use the direct download links for CC 2019 (the current version), CC 2018, CC 2017, CC 2015.5, CC 2015, CC 2014, or CC 2013. Then run the application and make sure it is activated by signing in with your Adobe ID. For CC 2015 and earlier versions: Download and apply the patch update for the version you want to upgrade your base release to. We maintain complete sets of all updates available for CC 2015 (Windows or Mac), for CC 2014 (Windows or Mac), and for CC 2013 (Windows or Mac). Note all patches are cumulative and include earlier updates for that release. For CC 2015.5 and later versions: All newer installers are full product builds for each version, so no patching or further update is required. If you don’t already have it running on your computer, then start by downloading and installing the base release for the desired version – all those links are given in step 2 just above. If applicable (for CC 2015 and before), simply download and apply the CC patch update for the version you want to upgrade your current release to… The direct links for all CC updates are given in step 3 above. Because all patches are cumulative, you can just pick the one you want to upgrade to. Note that for CC 2015.5 and later, all installers are complete product builds for each available version, so no patching or further update is necessary. Note: If you’re not sure what is the current version of the tool you’re running, then just select “About…” or “System Info…” on the the app’s Help menu and it will give you that information. If it helps or if you didn’t know already, the older CC 2018, CC 2017, CC 2015.5, CC 2015, CC 2014, CC 2013 and Creative Suite 6 (2012) versions of the applications are also included in your Creative Cloud membership – and they can be used & run together with the newer CC 2019 releases… You can actually choose almost any version(s) you want. If you need to get those installers quickly, you can access them via the Creative Cloud Download Center, which keeps a permanent archive of many prior major releases available to you – or you can instead use our collections of Adobe CC 2018 Direct Links, CC 2017 Direct Links, CC 2015.5 Direct Links, the CC 2015 Direct Links, the CC 2014 Direct Links, the CC 2013 Direct Links and/or the CS6 Direct Links. So there you have it: three common and helpful use cases for situations you may encounter, either now or bookmark for future use… If you have difficulties with any of the above instructions or steps, please post a comment below and we’ll try to assist! Thank you, this is great to have… The CC desktop manager is flaky sometimes so I know this is going to save my bacon someday. I do not understand the phrase “uninstall the tool…” What tool? Hi Randall, it just means to uninstall the specific Adobe tool that you want to roll back or restore an earlier version of… You uninstall it using your the Windows or Mac standard program uninstall process. Yes Marius, the direct links all work fine, for all releases on all platforms. 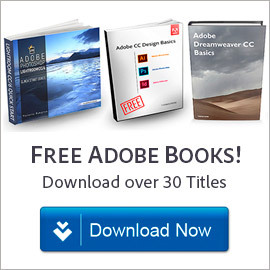 You left comments on those pages indicating that you didn’t carefully follow the essential download directions (required by Adobe’s servers), before clicking on the links. A caveat I must alert readers to is that since Adobe has started the CC process with relatively frequent updates that include ‘feature additions’ there has been an almost increasing issue with accidental feature drops or things that worked one way before not working at all or giving different results entirely in the new system. Basically, in the old way of creating major upgrades every 18 months to 24 months and bug fixes in between, they took more time to make sure all the features still worked because there were a lot of beta testers to discover issues before the new discs were mastered and shipped. Now, however, a new feature and update might come out every three or four months and often there’s another update a month or two following because they accidentally dropped a feature or something wasn’t working and they try and fix the problem… only often enough, another issue happens. Just follow the CC forum discussions and you’ll see it’s a serious issue for many of us. It hasn’t improved in two years. It’s actually getting worse as far as I can tell, and I only use Lightroom and Photoshop but I work with others that use AE and Premiere and Ill and they are getting similar problems. Well Jeff, if you do run into any problem then you have the guide on this page to roll back or restore the prior version! Consider these resources given here to be your safety net if you ever need or want to revert to the prior (or any) CC revision… You have the entire release history at your fingertips, with complete control. Welcome to the After Effects prerelease program! Through this prerelease program, you will help us shape the future of After Effects. Thank you for your participation. – Please don’t post off topic in the forums. – If you think you’ve encountered a bug, please provide detailed reproduction steps so we can make our best effort at understanding the issue. Attaching project files to the bug makes it easier for us to reproduce many problems. Screen captures also help. – Be respectful of others, but also know that we value constructive feedback. Tell us what we need to hear, not what we want to hear. A reminder that everything in this prerelease program is confidential and may not be shared or discussed with anyone who is outside the program, even if the information is leaked to the media or reports are seen on blogs. – Subscribe to the Forums to stay up-to-date on the latest developments. Under Category Notifications, click the Email option for the forum categories to follow via email. – The latest builds for testing are available below. – Read the New Feature Notes (NFN) document before installing and testing the builds. – To report a bug or submit a feature request, click Feedback at the top of this page. – To participate in discussions, click Forums at the top of this page. My only question is for all the people who bought cc 2014 and still use it on their 2011 iMac and can no longer upgrade to cc 2017….. why are we still paying a monthly fee for 2014???? You can’t upgrade 2014, so why pay a monthly fee???? Well, because you’re still using it. Even if it’s not CC 2017 for you personally, it’s still Creative Cloud. 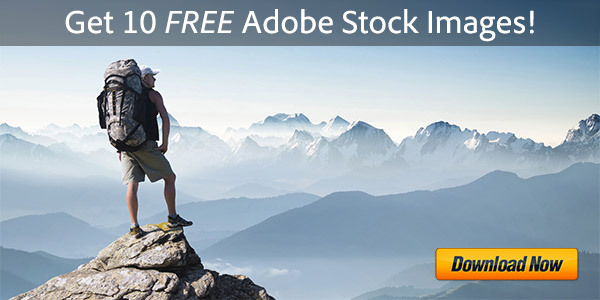 And with each subscription, Adobe provides access to all year’s releases to give you that option. But newer releases of macOS provide more advanced support, so they are continually evolving the software to make it better and faster… And when older operating systems are not sufficient, the CC system requirements need to evolve as well. So can upgrade CC 2014 to CC 2017, if you have a more recent system to run the latest tools. Just make sure that your computer hardware and other software applications support it. This is all too difficult. I tried to download LR CC2015 as recommended, now LR will not open so cannot be used. I have paid for a year. I have tried to download several times to my mac. to no avail. The instructions above are far too complicated. I am fairly good on computers despite being 75. There seems to be no way to communicate directly with Adobe, one’s efforts just go round and round. Sorry you’re having difficulties David. Can you share a bit more details about the problem you’re encountering? Did you first try downloading the latest release the standard way by using the Creative Cloud Desktop app? Did the installation complete? What happens when you try to open Lightroom? Have you received any error or other message? If so, what is the exact text of that? I used the creative cloud app installer as it suggested I download Photoshop CC2017, which I did successfully. I then tried to install Lightroom CC 2015 which was unsuccessful, ! Update failed (learn more) (Retry) I have tried many times to download it to no avail. The suggestion I uninstall the app is impossible as the gearwheel does not appear in front of the Retry button as it does on the successfully downloaded Photoshop CC2017. Since I tried to download LR CC 2015, the Lightroom Programme will not open ‘The application Adobe Lightroom can be not opened. OK’ (which really annoys me) not OK.
You can uninstall Lightroom using your standard Windows or Mac operating system command instead. Then reboot your computer and retry the download and installation. As an alternative, we would suggesting using the Lightroom CC direct links to download the program, instead of the CC Desktop app. Then start the installation manually. Did you also try any of the solutions suggested on these pages? Yup! I concur, except for Dreamweaver… They managed to completely mess it up! The beta version worked better. I mean, why how, what imbecile would change the wording of long time feature? Like changing flight mode to airplane mode… Then hiding sought-after stuff… They broke search, find replace in multiple files. Then some guy will be stuff…. Anyway, there’s that rant out of my system! I deactivated CC on an iMac with PS 2015.5 that my wife is now using so I can use CC on another laptop. I had updated my PS on my first laptop to 2017 before realizing that it will not work with plugins that I plan to download. I want to install PS 2015 on another older laptop MBP mid 2009 that I will dedicate to photo work. Can i do that using the download links above? Yes Mike, you should be able to… All CC subscribers can direct-download and use pretty much any version you want. Each time I try to download PS 2015 using links above (see “to go backwards… #2 CC 2015” above; didn’t seem like #3 applied to me), I’m directed to the Adobe site where I log in (I do have an Adobe account) and it starts to download PS 2017 which I don’t want. What am I doing wrong? Not sure Mike – did you carefully follow the specific download instructions given on this page for the 2015 Release? I found the best way of installing previous versions by accident. I own the last disk version of Adobe CS6. I belong to CC now and also have a new machine, so all that’s ever been on it is CC 2017. I installed CS6, now I have access to all the previous versions when I click on the previous button in the CC app. If you need or want to reinstall prior major releases, then you can use the Install Previous Versions capability of the CC Desktop App, or you can use our large collection of Adobe Software Direct Download Links covering all versions. 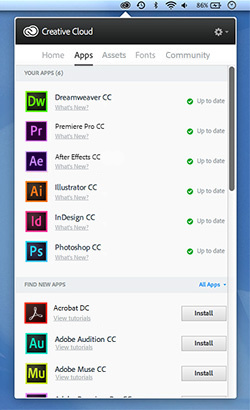 All Creative Cloud subscribers are entitled to use any CC version(s) of their apps, and/or the CS6 version. Hi, I have just downloaded CC2017 and followed the instructions you have mentioned in your article. It’s been very useful for our developers to use the new features provided by Adobe. Our company is developing web applications and mobile applications, so it’s been more beneficial to our designers. At line 79 of file “C:\ProgramFiles\Adobe\Adobe Dreamweaver CC 2015\Configuration\Menus\MM\LiveView.js”: dw.vmqcanEnableShowHide is not a function. “The direct links for all CC updates are given in step 3 above. Because all patches are cumulative, you can just pick the one you want to upgrade to”. Great, but how to do it with CC 2017-2018? Good question. For CC 2015.5 and later, all installers are complete product builds for each available version, so no patching or further update is required. This is mentioned in the article, but we will try to make it clearer. I have an older website that i used Dreamweaver to create on a PC. The newer iMac I have now will not take my Dreamweaver disks. I would like to have a program to edit and upgrade this website that is not presently on the internet. Can I use any of your products to use on a iMac computer to rework this website? Why don’t you use Dreamweaver on the Mac? 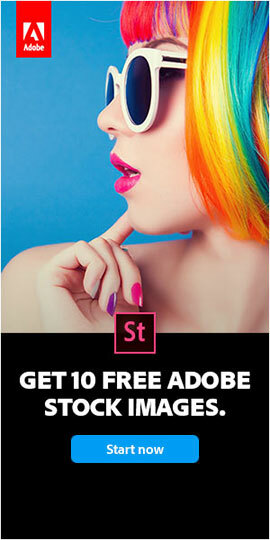 That would seem to make the most sense, as Adobe offers it for both operating system platforms. Which version of Dreamweaver did you use on Windows? I have used Adobe Pagemill 3.0 for many decades. Now, at the age of 70, I do not want to upgrade. I am also still using Windows XP Pro. My longtime host does not want to continue hosting and I can find no one that is willing. I have ALL of the original files. My customers loved my site and so did I: easy to navigate. Not really sure, sorry. 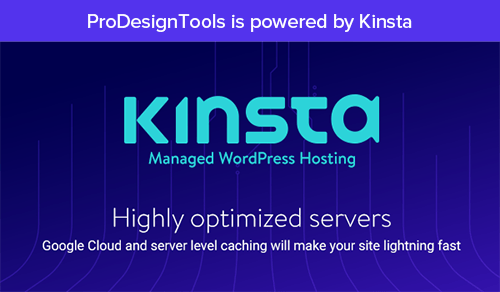 We don’t offer hosting. And we don’t know much about PageMill, which dates from around 20 years ago. You might try googling “convert PageMill website” and see what comes up… There are a couple of posts on Adobe’s Forums on that topic here and here. Wish we could help more. Good luck! Hey, Hi – I am unable to install Lightroom properly. Not sure, did you receive any error(s) or other messages? If so, what are they exactly – and did you try googling that text to find a solution? Also, which version of Lightroom, and which operating system and version? Sorry, we would need to know more details on the issue you’re facing in order to help further. How to Solve It When Adobe Programs or Updates Won’t Download All the New Adobe CC 2019 Direct Download Links, Now Available!